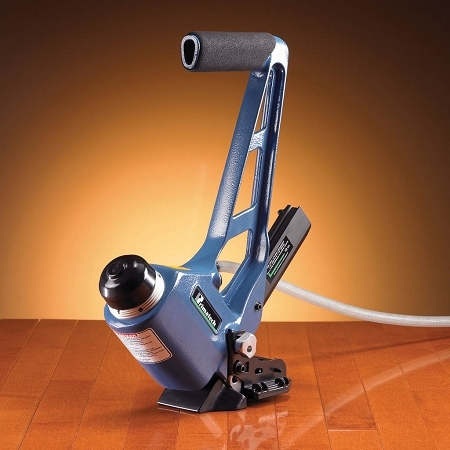 18 gage cleat nailer with adjustable base for 3/8 to 3/4” thick material. This nailer is excellent for STRAND BAMBOO! Also available with Wheels.